The purpose of life is to realize God within ourselves. This can be done even whilst attending to our worldly duties. In the everyday walks of life and amidst intense activities, we should feel detached and dedicate our doings to our Beloved God. We are aspirants who strive to remember Avatar Meher Baba through love, fellowship, and service to one and all. "Selfless service and love are twin divine qualities." Join our Circle of Friends Facebook Page, an annex to our web page where people can communicate. See our Facebook Page requested norms. Join us in our work for Beloved Avatar Meher Baba! Click the button below to support our work in the community. Donations of money or in kind are greatly appreciated and will be put to good use in the community. You can make a donation, either regularly recurring or as the spirit moves you, by clicking on the button below. When you donate, indicate whether you want to be a member. Minimum membership dues are $5.00. There are other ways to support our work for Beloved Meher Baba. You can shop online with our Merchant Partners, or volunteer at The Circle Center. Click on the Button below to Donate. Meher Baba (1894-1969) was born to Zoroastrian parents in a Jewish hospital in Pune, India. He had a normal, active childhood, excelling in sports and studies and attending a Christian high school until, in his second year of college, his life-course was altered by his contact with a Muslim Saint, Hazrat Babajan. After seeking out several other Muslim and Hindu masters, he began his life ministry in 1922. Meher Baba gave up speaking in 1925. He let his actions speak for him, living a life of sacrifice and love for God by loving and serving his fellow creatures. Through his example, he encouraged his followers from East and West, from diverse religious backgrounds and also outside of organized religions, to do the same, no matter what their religious beliefs or spiritual inclinations were. 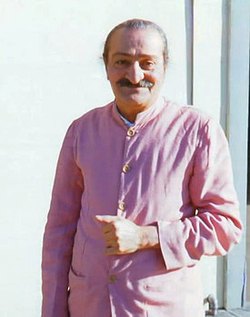 Meher Baba served the poor, the ill, lepers, and the mentally ill with great compassion for most of his life, interspersing this work with world travels. During those travels he visited the Meher Spiritual Center, which had been established in his name in Myrtle Beach, SC. 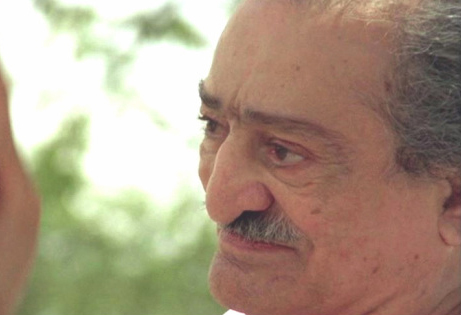 Avatar Meher Baba's Circle of Friends tries to embody his message of love and service. ​​When we came together in fall of 2005, it was because our hearts went out to the Katrina victims and we wanted to help. At the request of Baba lovers in the affected areas, we sent many boxes of donated materials relating to Meher Baba. As a result, a New Orleans Meher Baba Group started. A Meher Baba jazz gathering happened at the same time as the New Orleans Jazz & Heritage Festival in May 2006. People from the Myrtle Beach area attended, and helped clean homes in the 9th ward. In keeping with Baba's Wish, "Understanding that Baba is in everyone, try to help and serve others", we have continued these efforts. We are a community service organization serving the Myrtle Beach Meher Baba community, and other people in need, by providing information, fellowship, and services. ​ We have worked with individual community members and other community service organizations. We also sponsor fellowship, arts, spiritual, service, and educational programs to nurture our remembrance of Beloved Meher Baba and our enjoyment of His company in our companionship with each other. Let us know what needs you or others you love may have, and we will publicize them to the community. If you wish to volunteer, click Volunteer on the Menu and fill out a form or contact our Service Director to find out what opportunities to serve Beloved Meher Baba are available. We are a nonprofit, all-volunteer organization, and all of our budget comes from donations. No donation is too small...or too large! Donations are tax-deductible. When you donate through this site, you will get an automatic receipt. Know that your donation is processed using bank-level security. Donations of money or Gifts in Kind are also appreciated. Your donations are used to fund the Circle Center; our Newsletter, web site, and other means of outreach; for Fellowship expenses; and also to contribute to individuals in need and worthy community charities that are under-funded. Since we opened The Circle Center, a community gathering place, in June 2016, we are encouraging regularly recurring donations, which we call subscriptions, to keep it going. These are like user fees for a valued service. Only if we have ongoing financial support can The Circle Center continue to be available for community use. Response to The Circle Center has been very positive, and many of our supporters contribute monthly. When you make a donation of $5.00 or more per year, you automatically become a Member of the Circle of Friends.